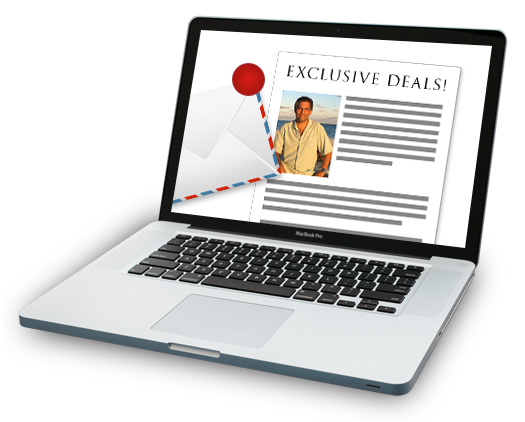 Sign up below to receive exclusive, timely Bahamas Real Estate opportunities direct to your inbox! James Sarles known amongst friends and clients as Jamie was born in snowy Buffalo, New York in the United States (A long way from the sunny Bahamas). He has a BS in Business and Psychology from the State University of Buffalo, New York. During his sophomore year of University he attended the University of Copenhagen as an exchange student and lived in Lyngby, Denmark with a Danish Family. Directly out of college James founded a Marketing and Advertising Agency in New York City with over 50 full time employees and a client list of many Fortune 500 Companies. His career included Associate Producing an HBO Special with Billy Crystal shot on location in Moscow, Russia. James was brought down to the Bahamas by the Ministry of Tourism who solicited his help in marketing the Bahamas. During this business trip to Freeport, Bahamas he met his wife Marina Gottlieb, a Physical Therapist and Healer whose father was the first medical doctor in Grand Bahama Island. James and Marina and their son Nikolai reside full time in Freeport, Bahamas. James is the President of Coldwell Banker James Sarles Realty located at # 9 Regent Centre across from Royal Bank. He is an Estate Agent with a speciality in high end luxury ocean front and canal properties. The key to James successful career can be attributed to his commitment to first class service. The kind of service and attention that creates customers for life and generates countless referrals. The winning advantage that James brings to you is his combination of knowledge, education and experience in the local real estate market. James is very civic minded and is very involved in the Freeport Community. He is an active Rotarian at The Rotary Club of G.B. Sunrise and has volunteered his time with many charity organizations including The Red Cross and Salvation Army. At the Rotary Club of G.B. Sunrise James founded a Big Brother program for local orphans and problem children which he still very actively involved in today. His philosophy is simple - he understands and cares about the people who ask for his real estate services. He's dedicated to serving his clients better than anyone else. His success has been built on hard work, a tenacious desire to be the best and a genuine love of people. Many of his friends are past clients. I am proud to say that I was born and raised in Grand Bahama. I am the fifth child of Bahamian parents of Italian and English descent, pioneers who settled in Freeport during the early days of the city's development. My education took place locally, at St. Vincent de Paul School, Grand Bahama Catholic High School and The College of The Bahamas. At an early age I married and had two beautiful daughters, Kristen and Eliana. I consider my daughters to be the most noteworthy and fulfilling aspects in my life. In my professional career, I have been employed and self-employed in various capacities. I have worked as an office administrator, accountant and sales assistant, as well as a part owner, of an Auto / Marine business. However, my true business passion is Property Management and in 2000 I opened At Your Service Property Management. In 2005, I decided to expand my education in the real estate field. After being certified by the Bahamas Real Estate Association, I joined Coldwell Banker James Sarles Realty and look forward with great enthusiasm to serving the Grand Bahama community, the greater Bahamas and the international market as an Estate Agent and Coldwell Banker Concierge. I will continue to offer experience and professional property management services in the property management service as well. My recreational interests are beachcombing, boating and reading. I love gourmet cooking and catering. I live my life by the favorite motto of my late father, Robert Bobby Parotti: I shall pass through this way but once. If there be any kindness I can show, or good I can do my fellow being, let me not defer or neglect it, for I shall not pass this way again. Dwayne King attended Sunland Lutheran School and moved to Freeport Anglican High School now known as Bishop Michael Eldon High School where he graduated in 1984. As a youth Mr. King has held leadership positions as President of a Junior Achievement Company in its first year on Grand Bahama. Mr. King was one of the first of three recipients of an Academic Scholarship given by the University of Nebraska at Kearney where he graduated and received a Bachelor's Degree in Psychology and Criminal Justice. While in University Mr. King was very active in various leadership capacities on campus and The Alpha Tau Omega Fraternity (ATO). 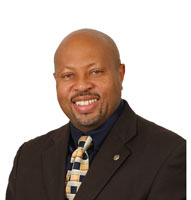 Mr. King has served on the Board of Directors for Junior Achievement 1994-1996 for Grand Bahama. He has been a member of The Grand Bahama Sunrise Rotary Club from 2001 to present, where he has served as a Director in several positions. Having served as the President for 2015/2016. He is a Christian and presently serves as a Deacon at Calvary Temple Assemblies of God, also in the Men's Ministry Committee. He Loves to travel and has been to 30 states, several Caribbean Islands and Mexico and Brazil. He is an avid Martial Artist for over 39 years having studied several arts he is also a 2nd degree Black belt in Jujitsu. He has worked at several resorts in management from 1994 as a Sales Director and Sales Manager. His wealth of knowledge of the Island of Grand Bahama, experience in sales and love for people is a key asset to the Real Estate Industry. He has joined the James Sarles Realty / Coldwell Banker Team in February of 2014. Mr. King is married to the Beautiful Sandy nee Martin and they have 3 wonderful children, Abria, Ashia and Adante King. 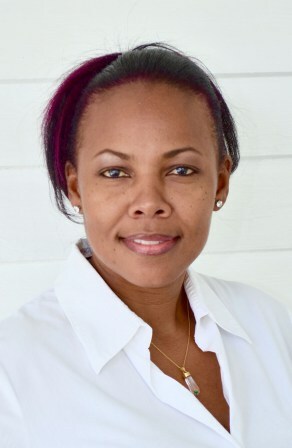 Tiffany Smith has joined the real estate team at Coldwell Banker James Sarles Realty in Grand Bahama. Born in Nassau and raised in Grand Bahama, Smith has spent 11 years in the local real estate market building her property knowledge, skills, and contacts. She will be handling property sales and specializing in rental properties for the firm. She is committed to helping renters find the ideal apartment, condominium, or home, as well as helping landlords to find the optimal tenant for either long-term or short-term rentals. Working with a wide variety of budgets and people is something Smith truly enjoys: “I am committed to Grand Bahama and love meeting people from here at home, and also from abroad. I delight in assisting property owners and property seekers in coming together to find just the right home here”, says Smith. Her many years of experience gives her insights into not only the many beautiful ocean and waterfront luxury rentals available, but also to the more economical rentals available on the island, which tend to be more prevalent during slower sales slump periods. “My extensive knowledge of how properties are valued, plus the wide range of property rental amenities, is something I’m looking forward to sharing with my clients, whether they are a long-time resident like myself, or a part-time seasonal visitor looking for a place to winter”, continues Smith. In addition to matching up the exact right tenant with the exact right rental, Smith also enjoys travelling, reading, being active in her church, and especially her role as a wife and mother to four beautiful children. “Whether our clients are looking for a single family home, or a waterfront paradise property to rent, I am happy to welcome Tiffany Smith as she brings her market insights and long-time experience to work at Coldwell Banker James Sarles Realty as part of our team”, says broker, James Sarles. Raylene “Shelly” Gardiner is the second child of O’Neil & Susan Gardiner. As a child, Raylene enjoyed interacting with tourist and was inspired to pursue a career in the hospitality industry as a student of Freeport High School (now Bishop Michael Eldon School). Her professional career in the hospitality industry began in 1992 upon successful graduating from The Bahamas Hotel Training College with an Associate’s Degree in Hospitality Management. 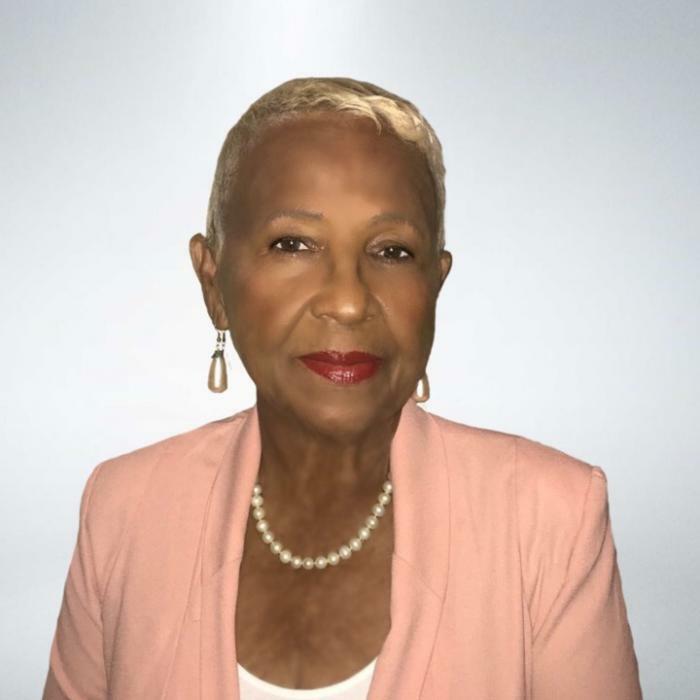 Following her graduation, she returned to Freeport, Grand Bahama Island, where she worked in various establishments and gained experience in not only the hospitality industry but also customer service, and financial services industry. Raylene was employed at Old Bahama Bay Resort from December 2005 to July 2009 where she held various positions ranging from Assistant Front Office Manager, Front Office Manager and Acting Rooms Director. While working for Old Bahama Bay she became a Certified Hospitality Trainer (CHT) and a Certified Hospitality Departmental Trainer (CHDT) with the American Hotel Lodging Association. She holds a Bachelor’s Degree in Business Administration and a Professional Master’s Degree in Hospitality and Tourism. 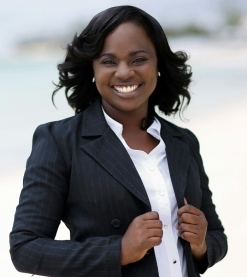 A renaissance woman, Raylene has expanded her areas of expertise to the real estate industry, for which she currently holds a real estate license from The Bahamas Real Estate Association. Currently, she is a part-time Associate Trainer for The Ministry of Tourism (Bahama Host Program), a part-time facilitator at The University of West Indies Open Campus (Hospitality Division) and is employed by West End Resorts Ltd. on Grand Bahama Island, as a Part-Time Association Manager, Independent Consultant for The Home Owners Association at Old Bahama Bay Resort. Raylene loves exercising, reading and traveling and has a passion for the Tourism Industry. Rachel Smith was born and raised in Freeport, Grand Bahama. Born of Haitian descent, Rachel grew up in a bilingual home where her Mother spoke fluent Creole, French and English. Being able to understand English and Creole was quite the experience growing up in an English spoken community. With no extended family in the Bahamas, Rachel grew up in a tight knitted home with her siblings that are also her best friends and have endured many years of priceless unforgettable memories. She attended and graduated from Sunland Lutheran School in 1999 where she was an active member in various school organizations and an all -star athlete that played soccer and track and field. She was Grand Bahama Football League Rookie of the Year 1996 at the age of 15 years old and is a two-time Bahamas National Women's Soccer team member that travelled to Cayman Islands in 1998 and again to Bermuda in 2000. Her athletic abilities earned her many honorable mention awards that included being chosen to represent Grand Bahama in the 1998 Bahamas Games in earning two medals in Track and Field and earning a team gold medal for Grand Bahama Women's soccer team. Her athletic ability didn't stop there, she then traveled to the state of Iowa where she was a student-athlete at Iowa Central Community College and was a member of the college womens soccer team that was ranked #1 in the state. She was a two-time starter and a two-time all-region conference player. After her completion at Iowa Central, she then transferred to one of the nations top prestigious institutions Iowa State University where she majored in Journalism and Mass Communications with a minor in Psychology. She was a reporter for Iowa State Daily newspaper, Iowa State Ethos magazine and a member of Iowa State intramural soccer team. After her tenure in Iowa, she returned home and worked in various industries that include Customer Service, Radio & Broadcasting, Airline & Travel, Marketing, Event Promotions and Food & Beverage. Rachel realized her passion for people through customer service, being employed for four years and gaining extensive knowledge through management, she became a young entrepreneur in 2010 where she started her own company called Happy Helpers. Happy Helpers is a professional concierge service company offering a variety of services for clients locally and internationally. â��Iâ��m determined, driven and dedicated along with having a go-getting spirit and Iâ��m excited of my new career path joining Coldwell Banker James Sarles Realtyâ�� says Smithâ��. â��I wanted to be a part of the numbers that revitalized Grand Bahama after its many devastating natural disasters and the decline in the economy throughout the yearsâ��. â��I want to be a part of that bright light that brings back the magic in the city of Grand Bahama with the island having so much to offerâ��. The handpicked professional team at Sarles Realty have in-depth knowledge of Grand Bahama and are here to ensure you enjoy a trusted service as one of our many, lifelong customers. We also keep an eye on properties available to buy or sell on the local market and provide you with the property that you want. We have Grand Bahama villas and condos, whether it is for a permanent move, a vacation home or retirement, we have it! Not only does Sarles Realty specialize in Real Estate in Grand Bahama but also the expertise to help orchestrate booking your dream Grand Bahama Vacations to experience true island life. Sarles Realty can assist you to find the perfect private beachfront villa for the entire family or a small condo to rent overlooking the blue Caribbean sea. Our agents know all the best places to stay and will dedicate themselves to helping you find that Grand Bahama vacation rental you've only dreamed of, until now! Coldwell Banker James Sarles Realty is a member of The Bahamas Multiple Listing Service and can assist with property on Grand Bahama. The Bahamas are a tax free zone, which has led to it being a favorite for investment and residency of business executives. 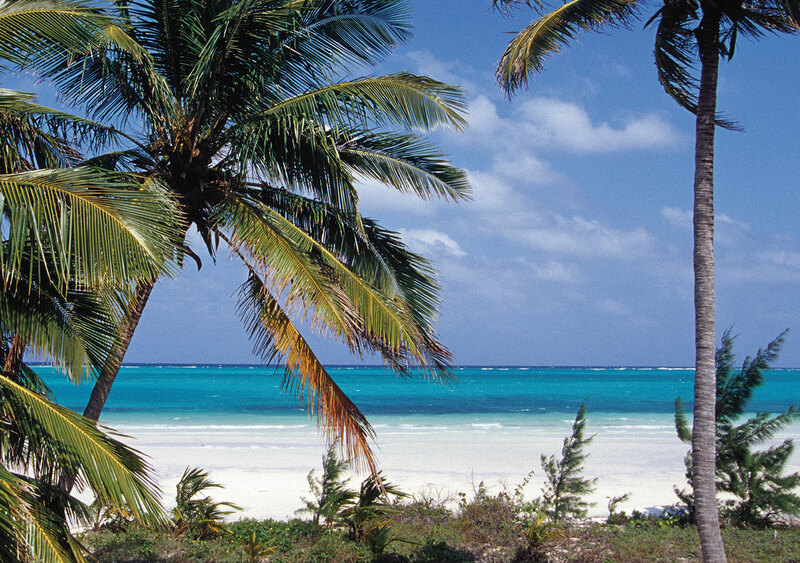 The Bahama Islands are a sovereign independent nation with a stable democratic government. The Bahamas are one of the richest countries in the Caribbean, with its government offering incentives to foreign businesses. You will find perfect weather in the Bahamas with average temperatures of 70-80 degrees all year round and 310 days of sun. 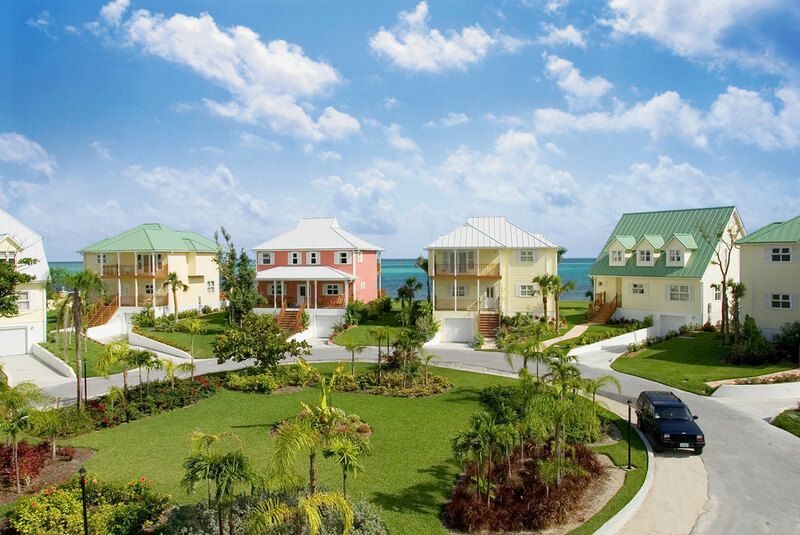 There is a large well established expat community living in Bahamas Villas. Bahamas Real Estate is well positioned with flight time of only 2 hours 5 minutes from Nassau to Washington. The Bahamas boasts beautiful breathtaking views with lots of natural wonders such as The ocean hole, the stunning coral reef and beautiful bird and flower species. The islands offer a laid back, relaxed lifestyle with very friendly and welcoming locals, making living in a condo on the Bahamas feel like paradise. Several different residency options available to expats - Annual Residence, Permanent Residence and Homeowners Card for those buying their own Bahamas property. 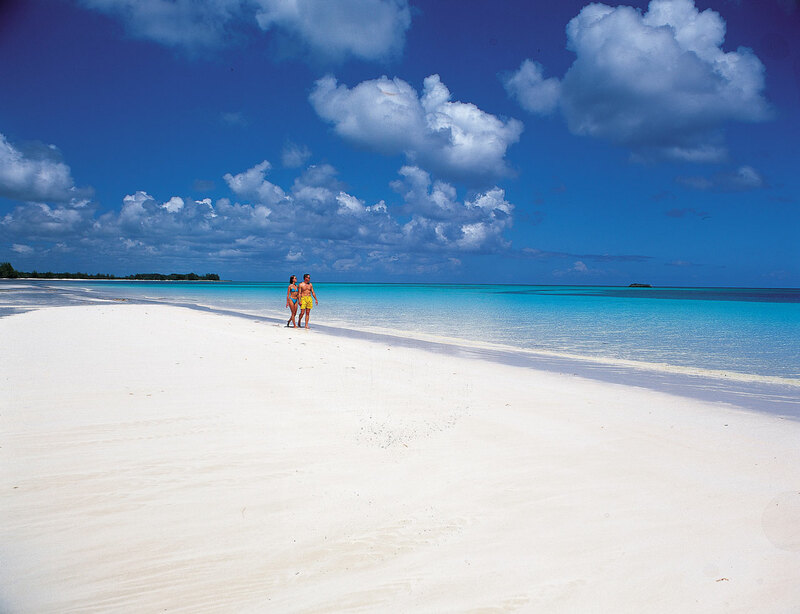 The Bahamas have a stable and growing economy with tourism as the main industry. Understand the many reasons why people are buying Bahamas Real Estate as a second home or for investment for their retirement. Find out why holiday makers are choosing Bahamas Vacation rentals for its many sights to enjoy and entertainment at hand over other Caribbean vacation destinations. 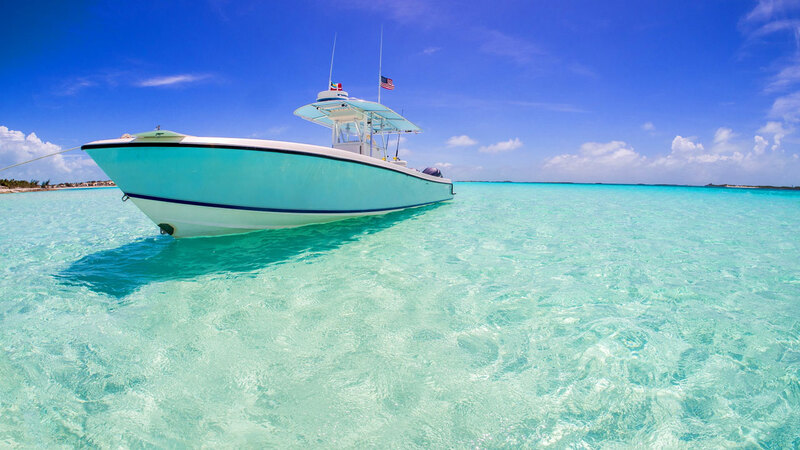 Whether you are on vacation on Grand Bahama or searching for a Bahamas Property, it is important to know all the fun that Grand Bahama offers.